November 21, 2017 – Toronto, Ontario – Matica Enterprises Inc. (MMJ–CSE) (39N – Frankfurt) (MQPXF – OTC PINK) (“Matica” or the “Company”) at the request of the Investment Industry Regulatory Organization of Canada, management is pleased to provide an update on Company activities. On November 11, 2017, 50,306,000 shares from the July 2017 five cent ($0.05) private placement (see NR July 10, 2017) were released for trading. The introduction of the newly trading shares appears to have been the catalyst for an increase in the trading volume of Matica stock and an increase in the share price. Matica is currently completing construction of its Dorval medical cannabis facility. Recently, the facility passed mechanical inspections. Safety equipment, CO2 delivery, water and automated plant nutrition systems have all been installed. Currently, the interior walls systems are being enclosed. Matica is nearing the end of the construction phase at Dorval and we are in receipt of the Health Canada Guidelines for the Submission of Photographic-Evidence Licensing. Once the facility is completed we will be submitting the Photographic-Evidence video to Health Canada to request our cultivation license. Late last week, Matica invited a third party investment group to film a video of Matica’s progress at the Dorval facility. The video was shot at no charge to Matica and showcased the current progress at the facility. Please follow the link at FT Investment Club to view the video. 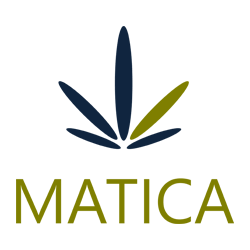 On September 27, 2017, Matica announced signing a non-binding letter of intent for Matica to become a majority owner of a late stage application under the Access To Cannabis for Medical Purposes Regulation (“ACMPR”) in southwestern Ontario. We are continuing our due diligence on the project. The application is for a 13,000 square foot building which could be easily expanded to 24,000 square feet by extending it to an adjoining building. The project sits on 14 acres of largely vacant land. Matica is contemplating building a 400,000 square foot facility on the property at a later date. Furthermore, Matica has negotiated a favourable purchase option for the entire property.